The Oregon Cliff House is built to entertain and filled with things to do. We think it has something for everyone, especially when it comes to games! Our goal is to bring people together in a safe, fun way that is sure to create memories. 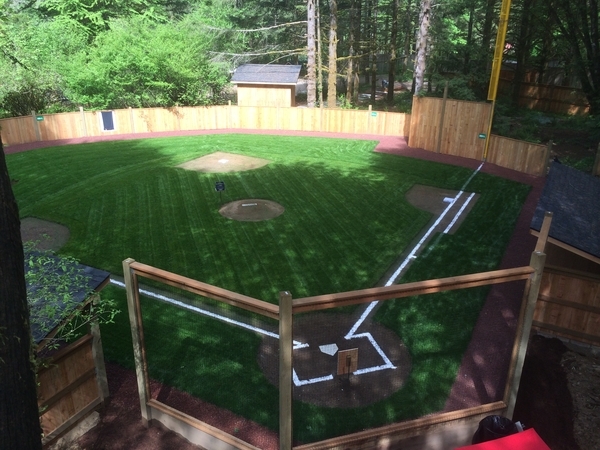 Vida Yards wiffle ball field is our crown jewel, complete with a pitching mound, backstop, home run fence and a bleacher. In the summer months, we chalk the lines and batter's boxes for you and provide an assortment of bats and balls. There is a scoreboard, dugouts and, of course, bases. 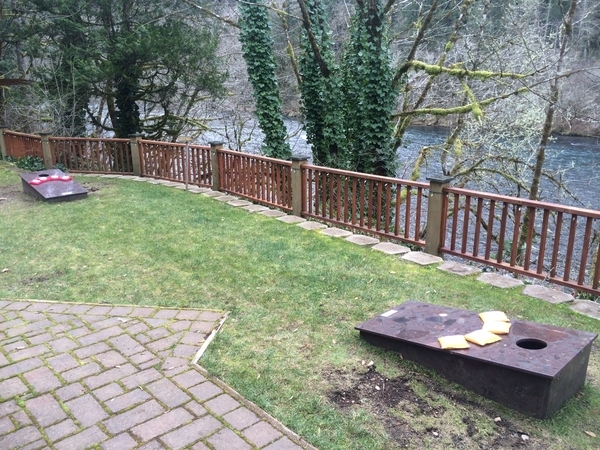 Across the property near the house, we have installed custom corn hole boards made out of granite. This premium location by the river also has a seating area with an umbrella for shade. 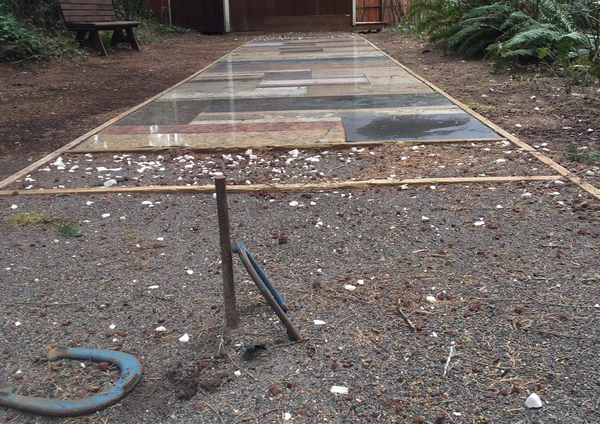 Our horseshoe pit is built to regulation size with sand pits and back stops on both ends, and a mosaic of granite remnants in the middle. Folks can enjoy watching the game from benches. 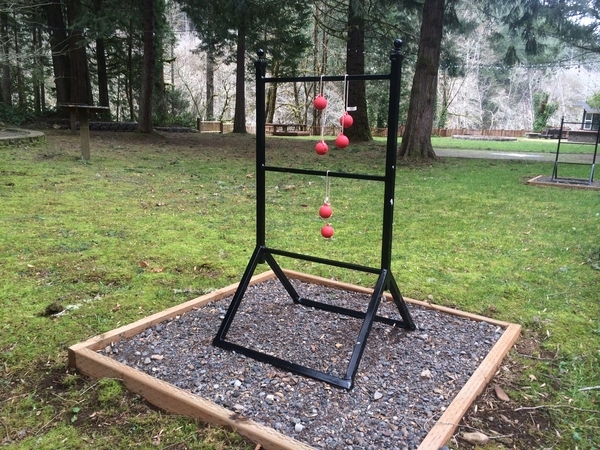 A cow balls or ladder game is made from wrought iron and is complete with accessories and located in the shade of large trees. 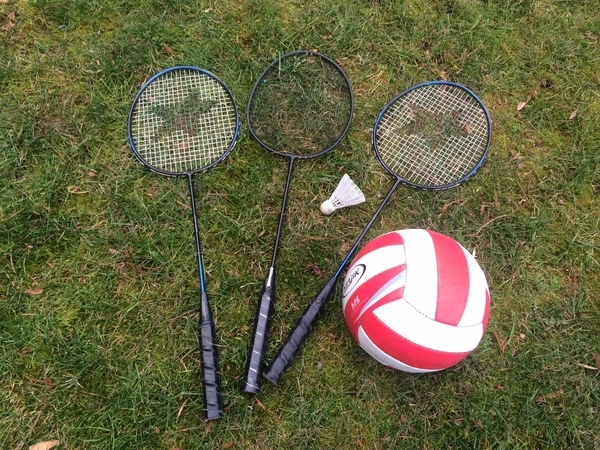 A badminton and volleyball net is set up during the summer months. Rackets, birdies and balls are all provided. 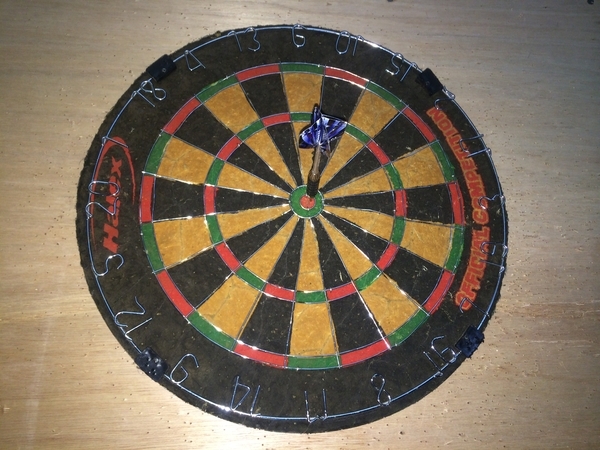 Inside there is a dart board and number of different board and card games for your indoor enjoyment.